ready for its 16th edition ! May 13-14, Grand Hotel du Boulevard, Bucharest. 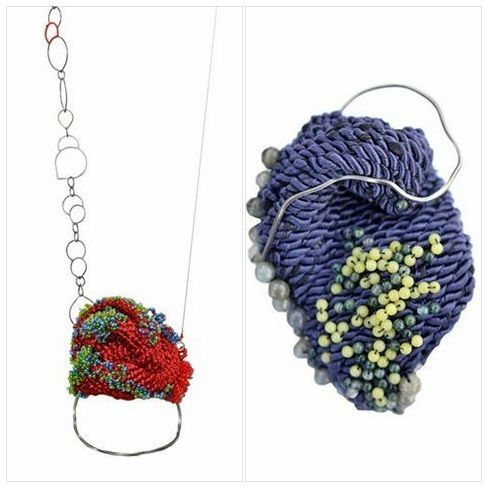 Come discover the emerging talents of contemporary jewelry. AUTOR <3 community. 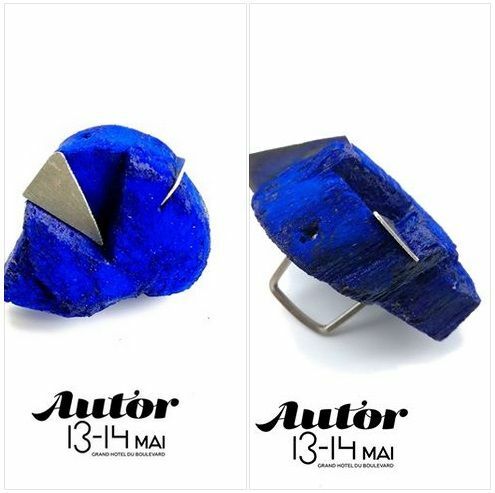 AUTOR takes its 8 years mission further by shaping the contemporary jewelry community. We connect artists with passionate jewelry lovers, collectors, international galleries, distributors or specialised media. The 2017 jury includes Sofia Björkman – Jewellery artist and Founder of Gallery Platina in Stockholm Doris Maninger – Director of Alchimia Jewelry School in Florence, Lucia Massei – Director of Alchimia Jewelry School in Florence, Ruudt Peters – Artist, Professor Opere Summer School in The Netherlands, Paulo Ribeiro – Founder and Director of Joya Barcelona, Dan Pierșinaru – Founder and Director of Autor. This spring we launch the 4th issue of AUTOR – the contemporary art magazine, one more reason to be there! « A celebration of fragility, life and feelings in a beautiful brooch. « Ana’s jewelries celebrate multiple possibilities using geometrical wiseness. To infinity and back! « Can a jewelry collection be an exclamation sign? Anna’s answer is yes. « The forgotten becomes unforgettable. Lost in my imaginary world where everything is so delightful. That little place inside myself where everything is calm, joyful and pretty. Where my mind goes when everything is so hard outside, in the real world. These crazy forms of nature made from artificial materials are the result of that retreating into that special world that protects myself from not going crazy in the real world. They touch all our senses. We want to eat them as if they were candies, to touch them because of their appearance so smooth, spongy and colourful We all need that little break to full our body with a bit of joy. »"
« Jewelry stand for a vision of future. « Jewelry speaks for today. Lamella Collection by Veronika Fazekas, Hungary – Playing with magic. 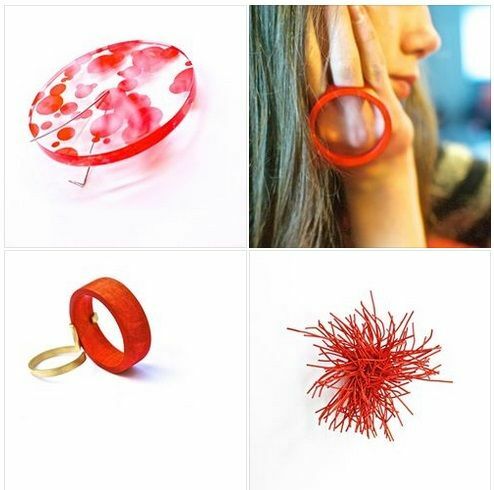 Identity by Franziska Höhne, Germany – A non-gender jewelry. « Playing with balloons and chain lines to find new balances. Mona Velciov, Her collection for AUTOR 16 is dedicated to transforming protest into a powerful aesthetic statement. ”Due to the last 20 years of vast illegal logging, both by private companies and the government, hundreds of thousands of hectares of Romanian forests, one of Europe’s last virgin forests, were deforested. This body of work is a protest and a confession: of the pain these actions are causing to the forests that it is also my pain”. ”Working with found objects, I am interested in taking the previous inferred meanings of materials and changing the context to represent a new experience. Discarded metal, found threads, forgotten hardware and even seemingly useless care tags are things that often go unnoticed. Through my work, I intend to rediscover and represent these findings through a fresh outlook”. “It’s all about playing! Connecting long necklaces, matching colours. Join as much as you want! Play collection is focus on the lock, the main piece of the necklace. Thought to be more than functional, the lock means singularity, irreverence, the importance of details”. ”As more as I get closer to plants and nature and work with them, I feel like a more powerful concept is taking over in this approach, the awareness of fragility of life, and for that to be more obvious I need to leave my plants more to hazard. In order to do that I have this new way, more voluptuous, of exhibiting dying organic matter, just by putting it into small protective exoskeletons made of precious metals or under thin glass”. Mia Maljojoki, Noelia Macchi , Tal Barash Efraim with myday-byday Gallery in Rome selected at the Autor Fair 2017 ! !